First, I would like to thank you for clicking the PMC banner that leads you to us. 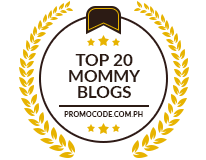 I am sure that you are indeed curious and wanted to be a part of the ever-growing online community of Filipina bloggers who are mommies, wives, single moms, and expectant moms!! Anyway, this is not the actual page, it’s a part of my blog that I used to personally welcome you. I want you to know that I am a real person and so us the other members of the community. We are here to link, share and help each other. Anywhere around!! 2. You are a mom (not necessarily married), a wife ( not necessarily a mom) or expecting mom. 4. 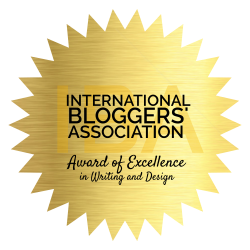 You need to put this little bitty 125×125 badge on your blog. Ok, thats it! Your half-way there. By the way, please allow 24 to 48 hours for me to manually check your blog. Don’t worry, it wouldn’t take that long. You wouldn’t know. I might be online now. To all members of PMC!! We have our very own forum now. So, we need you to register again at our new forum and grab the 125×125 PMC badge above but if you want to have your personalized 125×125 PMC badge, please send me a clear picture of your beautiful faces and your nicknames. After I am done with it, I will send you your codes that uses your own 125×125 badge. And once you request a personalized badge, you will also get a PMC online i.d. that you can also display at your blog. All for free and with love! By the way, I will also use your i.d. in our PMC blogroll that I am building (actually editing) also in this blog. In case you have a special request for the border’s color, you want it in blue, yellow, etc., please don’t hesitate to give me the name of the color you want. Since attachments are not allowed in the form, please send it manually at pmc (at) pinaymommyonline (dot) com. Thanks again!! hi mommy…pls.check it back from myblog if i did i right..thanks for inviting…hope to hear from u more often…God bless nad happy blogging! Hi…I’ve been browsing and I would love to join the group….but I dunno how to put the badge in my blog site…hope someone can help me out so I can join the group. Thanks!